Alia & Varun Return With Badrinath Ki Dulhania & It's SO Cute!! 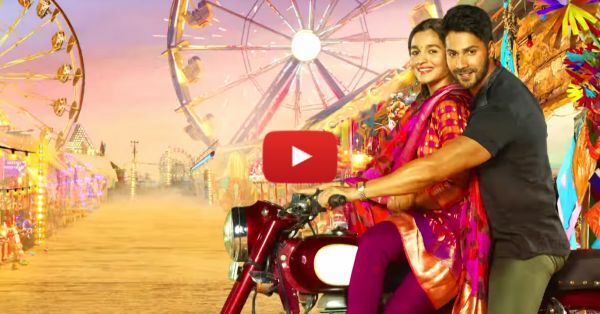 The first look of Badrinath Ki Dulhania is HERE and we couldn't be more excited about it! Alia Bhatt and Varun Dhawan are back together for this one and we bet it'll be just as entertaining as all their other hits. Only thing that's not so exciting? We'll have to wait almost a whole year for it! Yes, the movie releases on 10th March 2017 and we just don't know how we'll be able to wait that long. But oh, well. At least it'll definitely be worth the wait. :D PLUS: Subscribe to POPxo on YouTube for original videos + our favourite videos from around the web! MUST-READ: The Udta Punjab Trailer: Here’s Why You MUST Watch The Movie! MUST-READ: Befikre Makes Us Dream Of Being In Vani’s Shoes… Oh, Ranveer!